Vincent Ho Chak-yiu helped Mark Johnston become the most successful trainer in British racing history during the summer and the leading local jockey will be trying to boost his connections to that country in Sunday’s Group One Centenary Sprint Cup. Ho took the opportunity to get some extra experience in Europe over the break and he made an immediate impression by winning his first ever start in the country on 6-1 shot X Rated at Haydock Park. He said of his first taste of a British racecourse, “it was a challenge, but one that I loved”. The win was significant in the context of British racing, as it helped Ho’s temporary mentor Johnston close in on the title of winning-most trainer in British racing history. The trainer was duly awarded the title exactly two weeks later as he collected his 4,194th victory. Now back in Hong Kong, Ho is enjoying a fruitful start to 2019, boasting five winners from the past four meetings to sit third in the jockeys’ championship. Among these five was the promising Hong Kong Derby hope Ka Ying Star, formerly trained in Britain by Andrew Balding and purchased privately for new connections by Alastair Donald, the bloodstock agent responsible for the first five across the line in last week’s Group Three January Cup at Happy Valley. In Sunday’s Group One Centenary Sprint Cup, Ho will get the leg up for the first time on another ex-Balding-trained horse. 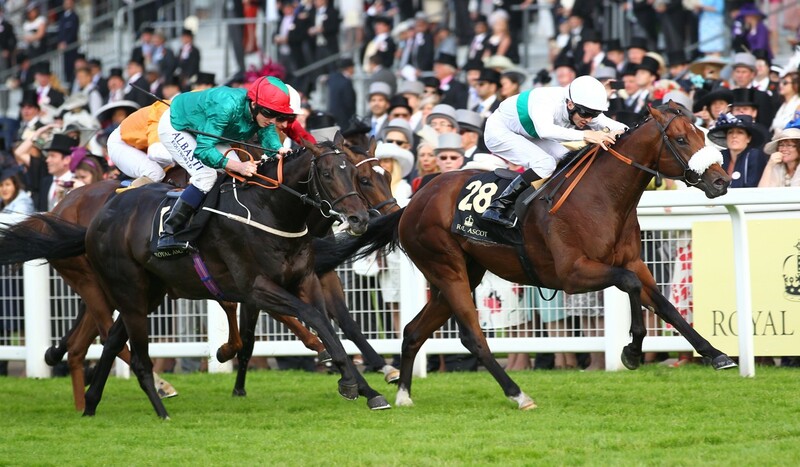 Born In China, who was somewhat ironically born and raised in Britain by owner-breeder George Strawbridge – incidentally also breeder and former owner of Mr Stunning’s dam, With Fervour – was snapped up by current connections in 2014 after winning the valuable Britannia Handicap over 1,600m. This Royal Ascot contest is regularly of interest to permit holders for its habit of throwing up horses that thrive in Hong Kong, such as regular Group One contender Gold Mount and January Cup victor Simply Brilliant. Douglas Whyte has ridden the gelding in all but one of his last 16 starts, but trainer Francis Lui Kin-wai will be hoping that a jockey switch will invigorate the now eight-year-old, who has arguably developed a reputation for being a Happy Valley specialist. While not yet managing to land a blow at Sha Tin, Born In China has hardly disgraced himself at the bigger track. After taking time to acclimatise during the 2016-17 season, a brace of second places at Group Three level last season preceded a first crack at a Group One in December’s Hong Kong Sprint. Having settled near the rear of the field in this most competitive of contests, Born In China stayed on well in the shadow of the post to get up for a creditable fifth. “He never knows how to run a bad race,” was the feedback from Whyte in the weighing room afterwards. A step up to 1,400m for the Group Three Chinese Challenge Cup on January 1 followed, but he was unable to get on terms over the extended distance after having been restrained down the back straight and into the bend. As he drops back to 1,200m on Sunday, a strong pace will surely help his chances, particularly if Ho can urge him to jump out quickly from the inside barrier and secure a handy position. He is up against it once again, that much is for sure, but a jockey change might just be the key to getting Born In China back in the mix at the business end.